Gina Rodriguez posted a photo of her Living Royal socks recently on Instagram! 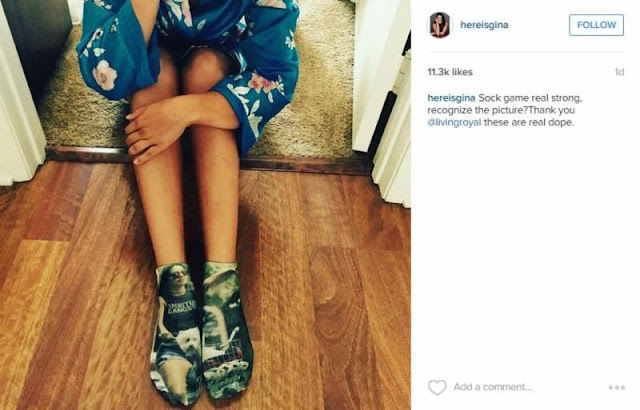 Gina shared her love for her custom ankle socks ($15; www.livingroyal.com). Living Royal is a Chicago-based fashion and accessory brand with a collection of quirky graphic socks, beanies, gloves and much more. Celeb fans include Rumer Willis, Chrissy Teigen, Miley Cyrus and Khloe Kardashian!